Elmsavers treats thousands of elm trees annually for Councils, Government authorities and private clients – with excellent long-term results. 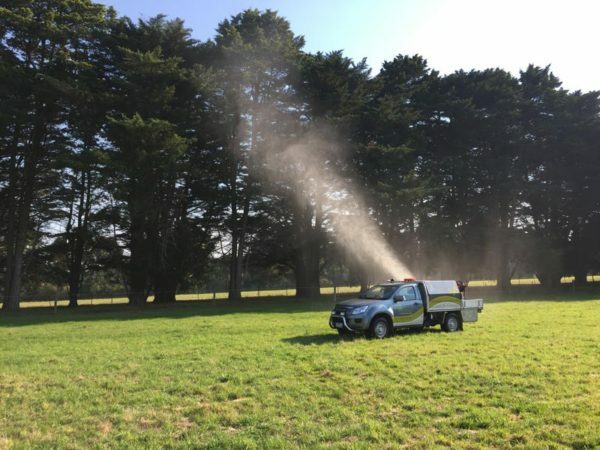 With almost 30 years experience in horticultural and arboricultural pest and disease control, we offer the most advanced and innovative treatment programs in the industry. 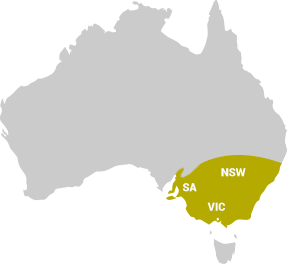 Elmsavers is licensed by the Department of Primary Industry (DPI) in four Australian states – Victoria, South Australia, Queensland and Tasmania – and is New South Wales compliant. 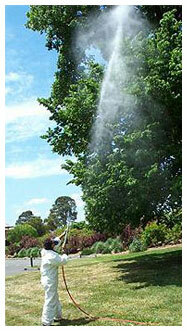 Elmsavers primarily employs tree injection, bark stem application and canopy spraying methods to treat elm trees. We have phased out the use of soil injection treatments in favour of more eco-friendly solutions. Tree injection is now regarded as “Best Practice” and the most environmentally-friendly method known. It is ideal for all environment situations and very low risk, as pesticides are internalised and sealed. No residues to contaminate groundwater and bores. No risk of leaching during periods of high rainfall. Will not kill earthworms and other beneficial soil invertebrates. Won’t affect soil biology by harming beneficial soil fungi essential for nutrient uptake. “…the micro (tree) injection technology developed by ElmSavers is the preferred method due to its superior efficacy and very low environmental risk. 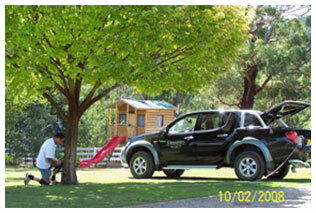 Public safety & legal concerns are also minimised.” – Maroondah Council. The safer, newer systemic chemistries used by Elmsavers for Canopy spraying translocate to all new growth throughout the season. A balanced NPK plus trace elements – is incorporated with the treatment. 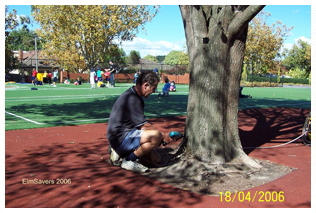 Tree injection is safe around children, pets and riparian situations, and complies with, and exceeds OH&S standards compared to conventional treatments.